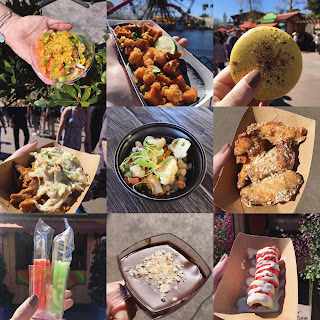 What's that saying about breakfast? Breakfast is the most important meal of the day. 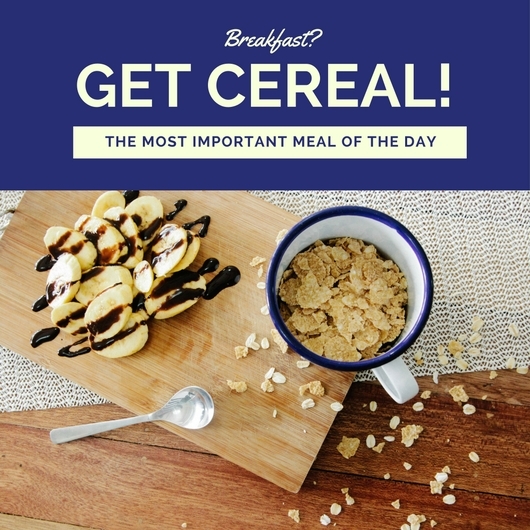 When it comes to eating breakfast there are all kinds of options to choose from from smoothies, eggs, pancakes and even a bowl of cereal. If cereal is your choice you won't want to miss out on this new flavor of Chex cereal I discovered. What I love about Chex cereal is that there are several flavors of the cereal that are gluten free. 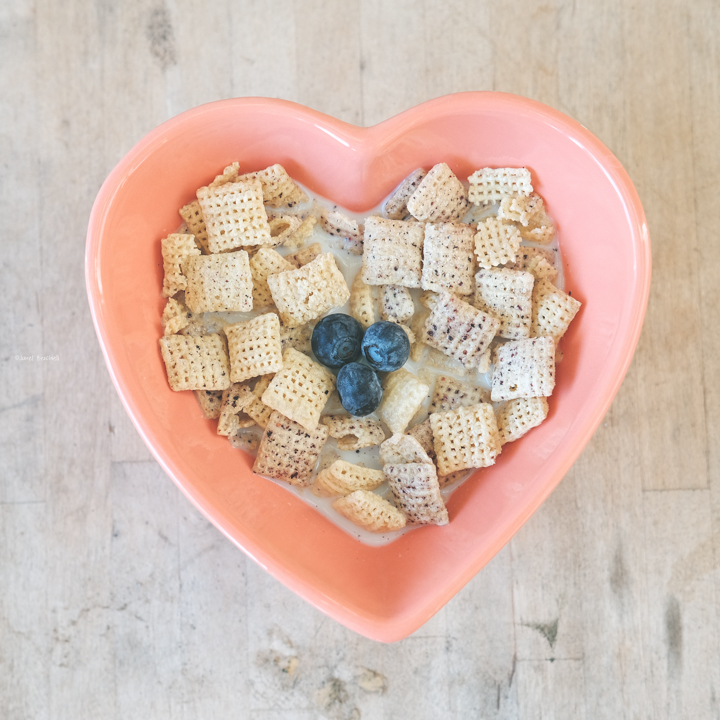 You can get creative with your Chex cereal and you don't have to always eat it the traditional way in a bowl with milk. You can use it in a variety ways, for example, one way I use it is to make the sweet snack called Muddy Buddies. Muddy Buddies recipe can be found on the box of Rice Chex, but you can use any flavor of Chex to create this fun treat. 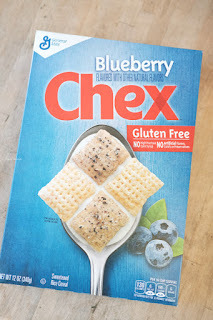 Recently I discovered a new gluten free Chex cereal flavor, Blueberry. In general I love blueberries and blueberry flavored foods. I was very excited to try this new flavor. At first glance you will notice the box has a mixture of blueberry cereal and plain. The blueberry ones are more speckled but not necessarily blue in color. I admit for my first try I ate this cereal the traditional way in a bowl with milk. They are sweet with hints of blueberry flavor, but not too sweet or over powering. When you eat it dry it does taste pretty sweet. I actually wanted more blueberry flavor so I added in fresh blueberries on my next bowl. With milk in the bowl the cereal does get soggy fast but that is to be expected. Afterwards the leftover milk still in the bowl is slightly a grayish color with the speckles. It didn't appear to stain the bowl for me. Overall I really enjoyed this new Blueberry Chex cereal. I certainly would like to try it again and to use it in different ways. I was thinking it would make a great addition to a home made trail mix and even a topping in your yogurt or smoothie bowl. I will definitely buy this again and I hope that soon it will be available in a larger box. I just discovered a recipe for Lemon Muddy Buddies using the Blueberry Chex cereal. I definitely need to try this. 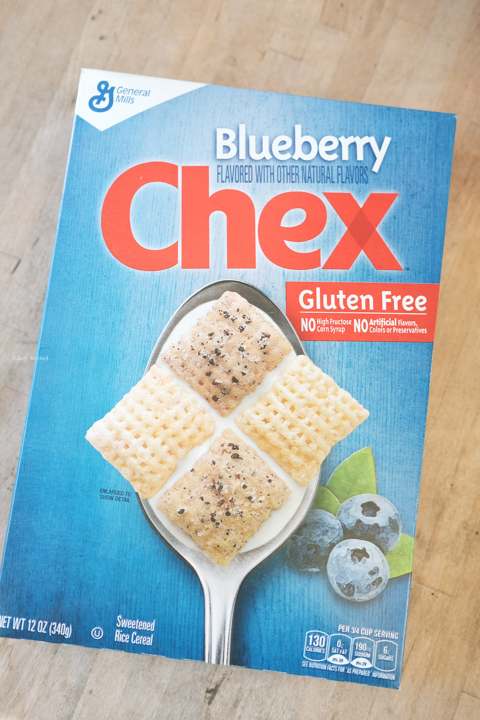 Have you tried Blueberry Chex yet?